After so many rumors that lasted almost a year, in the end Crash Bandicoot N. Sane Trilogy was also announced for Switch, XBox One and PC, and the same seems to be happening with the first trilogy of Spyro. 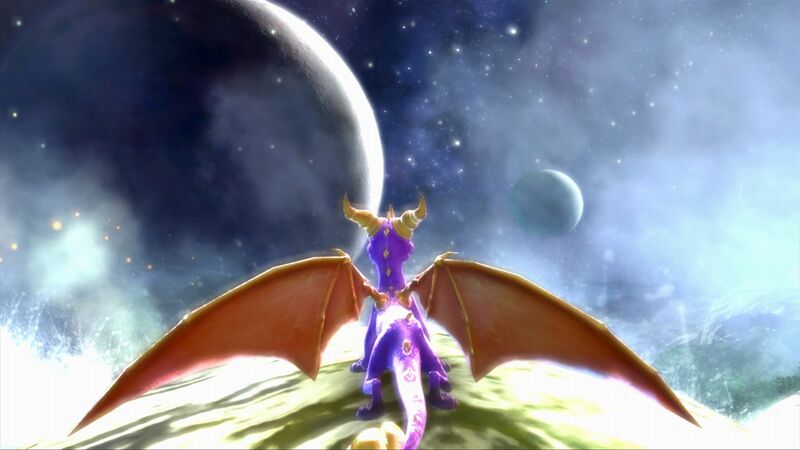 As well as the marsupial colleague, even the little dragon is the subject of rumors that want one remastered collection of the first three chapters of the series coming first on the Sony console and then on the other machines, even if at the moment there has been no official announcement by Activision. 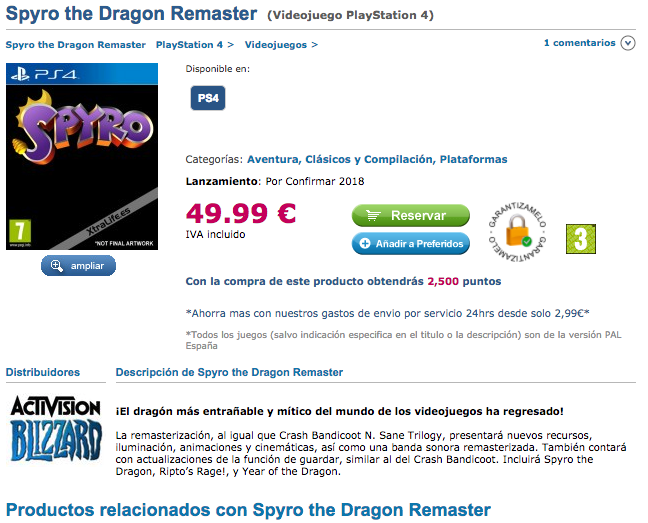 Also in this case there are many voices that want the existence of this game and now we also add a online retailer Spanish that, just in these hours, has put on its list, with a lot of price and possibility of booking, this phantom Spyro Trilogy Remastered. At the price of 49,99 €, according to this store, it is already possible to book Spyro for PlayStation 4; the existence of this game now seems to be certain, we just have to wait for an official announcement from Sony e Activision to be able to dream again of running and flying in the worlds of Spyro the Dragon.